In today’s online marketing world, everybody is competing to be on the first page of Google. It is obviously where most of the FREE traffic is, and the money. Being on the first page of Google does not happen by chance. Rather, it is through the trust that Google has in the website and also the keyword in the post that is being targeted. There are tons of keywords but which ones are actually worth targeting? That’s where Jaaxy can help you out, as one of the best keyword research tool for SEO. To be completely honest with you, as I always am, I was introduced to Jaaxy upon joining the Wealthy Affiliate platform. I have been a member of this platform now for a while but I just wanted to navigate all the features of Jaaxy before I brought it out to you guys. I wanted to see whether the keyword tool was really as good as other users said it was. But from the point of view of the person who is visiting the Jaaxy website for the first time, I love that before you even sign up, you get all the important information about each aspect of the tools and features, so you can make a well-informed decision on whether this is the type of keyword tool you are looking for. I started with the free version and began my keyword research for the articles. I found that the tool was very easy to use, the main page very easy to navigate and there were a lot of features included, to make it a total SEO package for my website. I will outline each tool within Jaaxy below. As with any online tool or service, Jaaxy comes with its own set of training videos. Those are very highly effective because most people are visual learners and they can pause the video as they attempt to apply what is being taught or explained in the video, to their own research. All videos are directed by Kyle, the co-founder of Jaaxy (and Wealthy Affiliate). All the videos are in-depth and Kyle shows you his own monitor as he explains how to conduct the research. The training consists of keyword and niche research applied to a very real niche / topic on a website. As Jaaxy also comes with an affilaite program, you also have a training video on how to promote Jaaxy and most commonly asked questions about the program also get answered within that video. Now we start the most exciting part of this review; the actual tools that you get to use to help the SEO of your website. As you will very soon see, it is one of the very best keyword research tools that you can use. Only after having used it, will you know the true power that you hold over SEO with this tool. You’ll agree with me that this is the part of the website that you will be using most often. One thing that I would like to tell you though, is that the keyword tool does not magically give you keywords on a silver tray. You still have to do your research and then you can plug it into the tool so it can give you the statistics. From my own use of the keyword tool, the search has been very fast and it does not only give me the statistics for the keyword I input, but also gives me suggestions for other similar keywords I could use and their own statistics. Let’s take “crochet patterns” as an example. As you can see from the screenshot, the tool gives you a lot of other suggestions and a bunch of numbers, which are the statistics of that particular keyword. What do they mean? AVG – This is the average number of searches on a monthly basis. TRAFFIC – This is the number of visitors you can expect to get when you appear on the first page of Google. QSR – Abbreviation for “Quoted search results”, this is the number of website pages that are competing to rank under this keyword. KQI – This is an abbreviation for “Keyword Quality Indicator”, which will show you based on the number of searches and competition, how good this keyword is. SEO – This is pretty self-explanatory. This is the percentage, showing you how likely you are to appear on the first page of Google. The higher the number, the better the chance you have. DOMAINS – This is very useful if you are still researching the exact niche you would like your website to target. You are able to buy domains that are in relation to that niche through Jaaxy. To use this keyword tool effectively, I always look at three things; AVG, QSR and SEO. In other words, the keyword needs to have a good number of searches every month (over 50), it needs to have a very little number of competition (under 100) and it needs to have a good chance of making it to the first page on Google (over 90% chance). The reason why the others are not as important, is because they are only FYIs. Looking at TRAFFIC for example, it gives you a number of visitors that you can expect on a particular page every month if you make it to first page on Google. However, if there are a reasonable amount of searches per month AND the chances of you being on the first page of Google is high, then those people searching for info YOU have to offer, will automatically end on your page so the number of TRAFFIC that you get is not so important when looking for a keyword. Does that make sense? It is better to rank under a low-competition keyword that has a few searches, because although the number of searches is lower, you are targeting a specific audience and that always ends with a higher conversion rate. Look at the below screenshot for an example. This is a technique used to find longtail keywords and also for niche research. The reason why it is called the “Alphabet soup” technique is because you use your idea of a niche and add each of the letters of the alphabet right before, or after your keyword, which will generate new ideas for you. Here is an example with Google. As you can see, from “A”, I already have 10 new keyword and niche ideas on crochet patterns. Here’s an example in Jaaxy. Now you have 20 ideas using Goole + Jaaxy. While doing your keyword research, you want to make sure that you are using the best keyword you possibly can in your blog post. But many times, you will come across a few very good keywords. With the “Saved Lists” feature, you are able to save specific keywords so you can compare them against each other. Also while looking for a keyword for a specific article, you might also end up finding keywords for future posts that you may want to save. Having this feature will allow you to access the same keyword and its properties later on, so you don’t forget, and also will save you time because you won’t have to go looking for that keyword again. This keeps a record of all of the searches that you have performed and is a very useful feature that will allow you to retrieve or retrace your searches, so you don’t have to go thinking what searches you have already performed. This is where you can spy on your competitors, if you are an intermediate to advanced marketer. You can enter any keyword, just like you would in the search engines, and that will bring up the pages on the first page. You can choose on which search engine you would like to perform the search as well. Not only can you replicate this search here on any search engine, but you can also get more details about each of those competitors, such as the word count on that particular post, the links on the whole website, backlinks on the website, Alexa rank and whether or not they use adsense as a means of revenue. Under this heading, you are able to use your niche-related keywords to find affiliate programs from Commission Junction, LinkShare, Digital River and Click Bank, to monetize your website more. Of course, there are lots more that you can find through Google, but if you wanted a quick way to see whether there were any niche-related affiliate programs, you can start here. The Site Rank feature is pretty straight forward. This tool is used for you to be able to find the position of your post in any search engine, in relation to your targeted keyword. Depending on the membership options that you choose, you will be able to conduct a site rank search that will bring you results from only the first page of a search engine, to the 20th page. What I love about the support that you receive in Jaaxy, is that they are prompt. Most of the time, you will get a response within 24 hours of submitting a ticket. Not only can you submit a ticket for any questions, concerns or problems you may be experiencing, but you can also comment on what changes, innovations, features you would like to see within the membership. You already knew this was coming. All these great features do come at a price. However, you don’t have to pay anything to try it out. You can start as a free member to better gage how much Jaaxy will be of use to you. When it comes to the different membership tiers, you have the Starter, Pro and Enterprise membership levels. The Starter is FREE, Pro is at $49 monthly (or $199 yearly) and the Enterprise is at $99 monthly (or $499 yearly). Take a look below to see what is included in each membership option. Absolutely! Jaaxy is a great keyword tool that does not do a half-assed job of keyword research. It will help in any aspect of SEO that you can possibly imagine and will even help you spy on your competitors so you can get better and keep ahead of the game. Want to know of a better way to spend $49 monthly and still get Jaaxy? Although I have NOTHING against Jaaxy and it is my go-to when it comes to keyword / niche research and SEO, let me give you a better way of spending your $49 monthly. 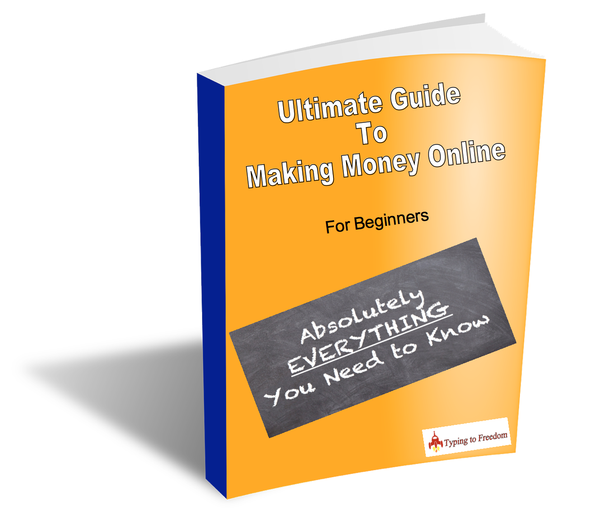 This will benefit you, specially if you are new to the blogging and online marketing world. You can all this by signing up to the Wealthy Affiliate platform, which offers the best training and support on the market today! Grow your online business to new heights with the same $49!!! What’s more, you can even join Wealthy Affiliate for FREE and try it out first before you become a paying member. This is my suggestion because you can get way more for your money than if you registered for the Pro account on Jaaxy. If you have used Jaaxy before, or even are a Wealthy Affiliate member, I would love to hear what you think about Jaaxy as a tool for SEO. Also, if you have any questions about any of the programs, feel free to leave them in the comment section below and I will get to you ASAP! This article seems to have covered every aspect of Jaaxy. Even Kyle couldn’t have done a better job. Thanks for the information which seems to have given me an insight into exploring Jaaxy a little bit more. Thanks Adewale. I’m glad that my review of Jaaxy has helped you in finding out about its helpful features. That is a very good and informative post on Jaaxy one of the most leading platform. Very precise enjoyed reading. Thanks for dropping by and for reading this review! I’m glad you liked my post on Jaaxy. I wish you all the best in your business endeavours. Hi, I enjoyed reading your review. I didn’t know there’s so much to explore and research just around the keyword topic. Jaxxy seems to really cover a lot of interesting statistics and information. I like that I can try the program first for free and am not forced to spend money before I really know what I get. Hi Stefan. Thanks for dropping by. I’m very happy that you liked reading my review on Jaaxy. It is for sure, one of the best ALL-IN-ONE SEO tools that is a dream come true for every internet marketer out there. That’s right! You can try it for free to see if it suits your needs first, before investing into it. That’s why it is a no-brainer to open an account today and to find out what it can really do for you! Hello my friend! I wish to say that this post is amazing, nice written and come with almost all significant infos. I�d like to peer more posts like this . Hello. Thanks for dropping by and for giving me feedback on the post. I really appreciate it! Thanks a lot for your feedback. Really appreciate it!